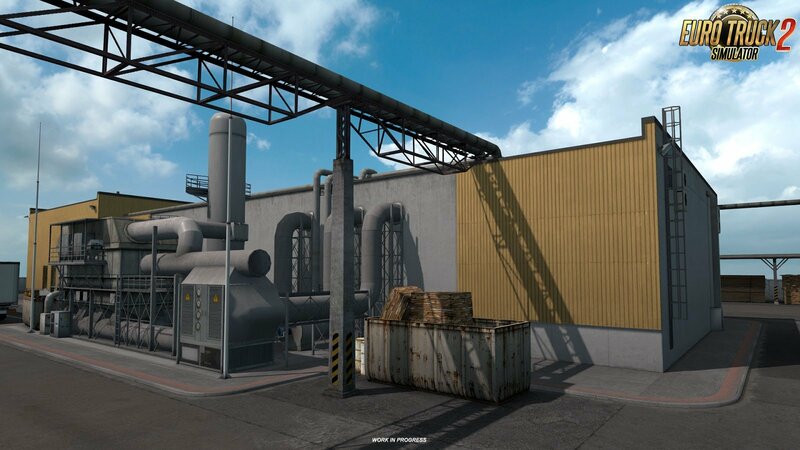 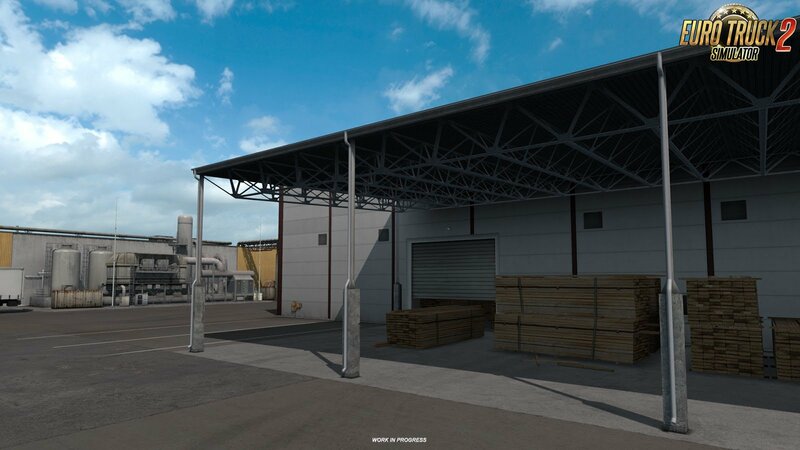 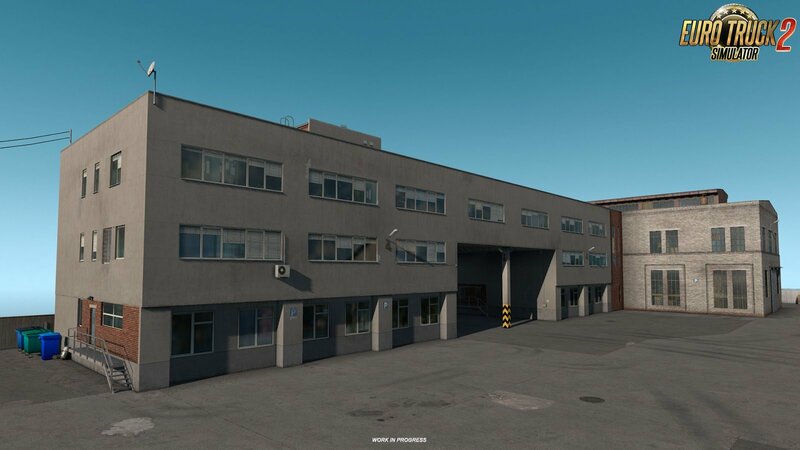 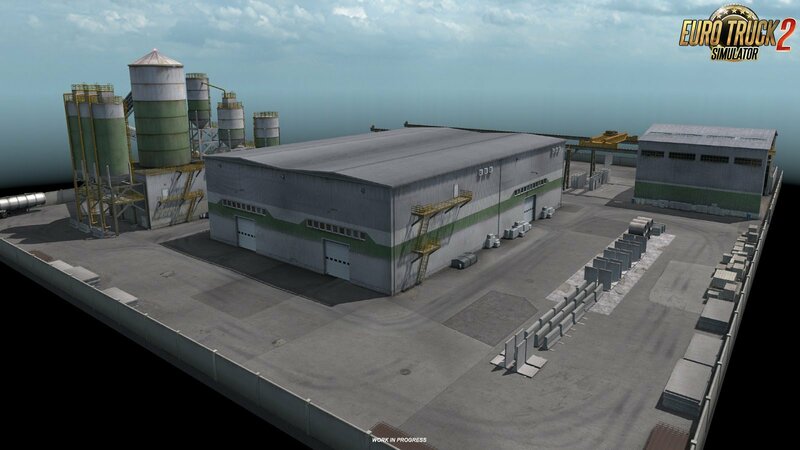 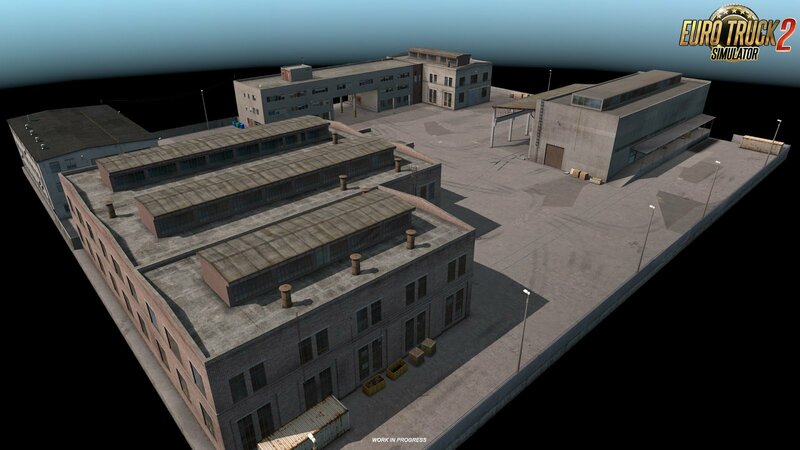 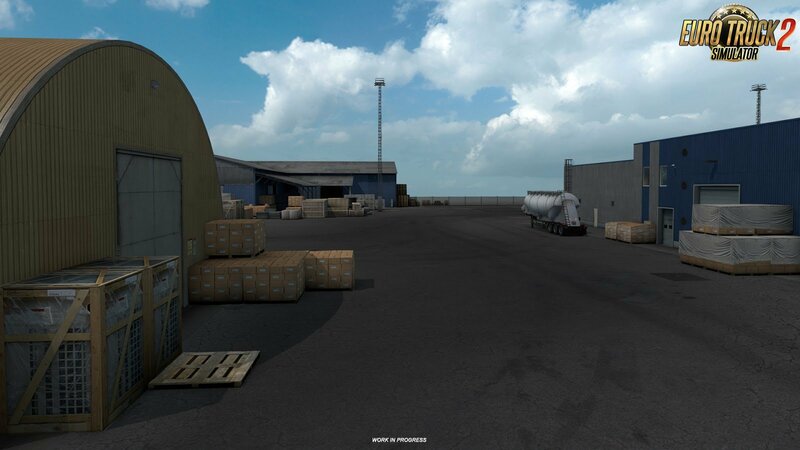 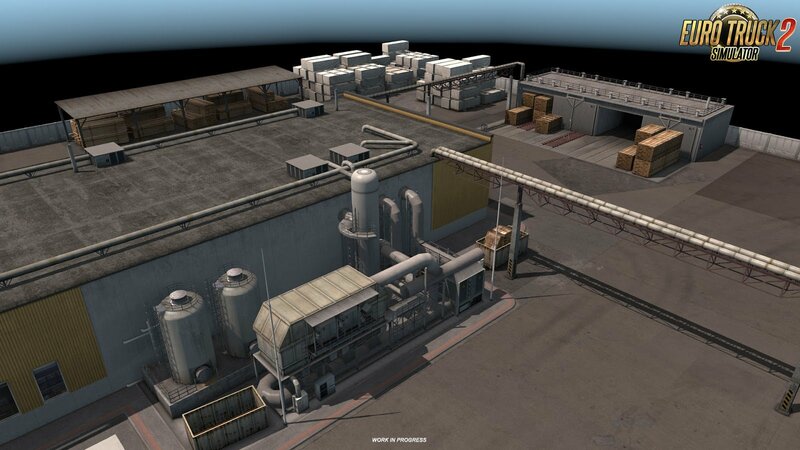 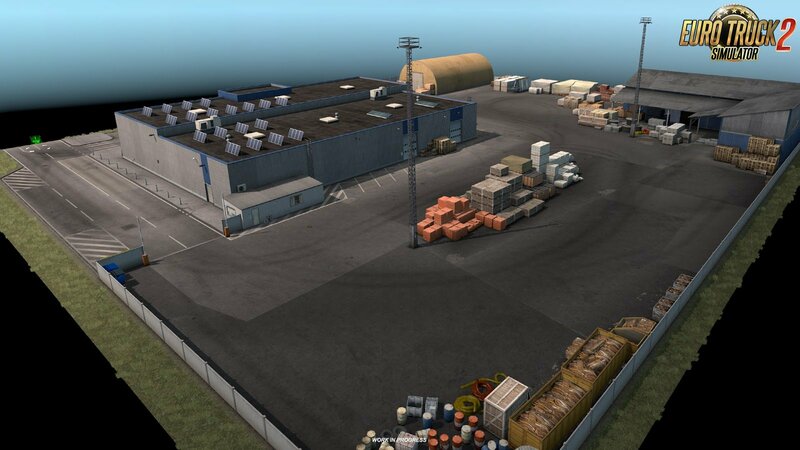 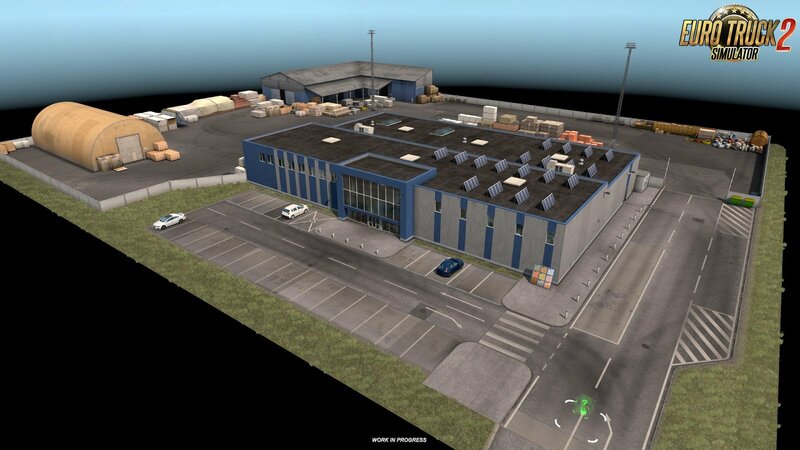 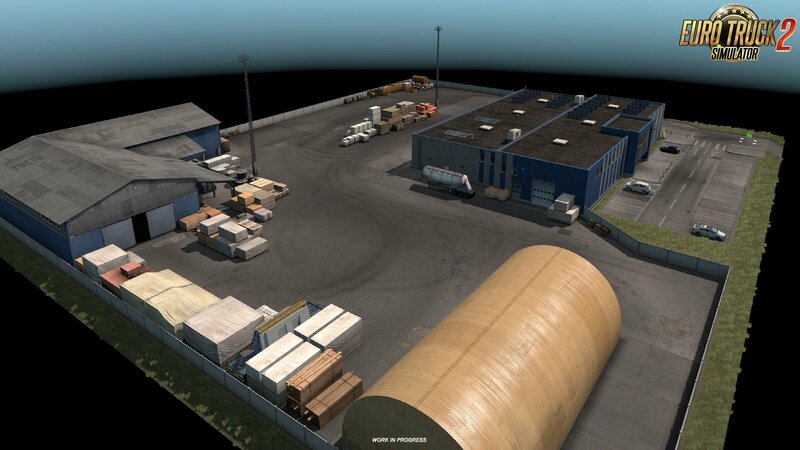 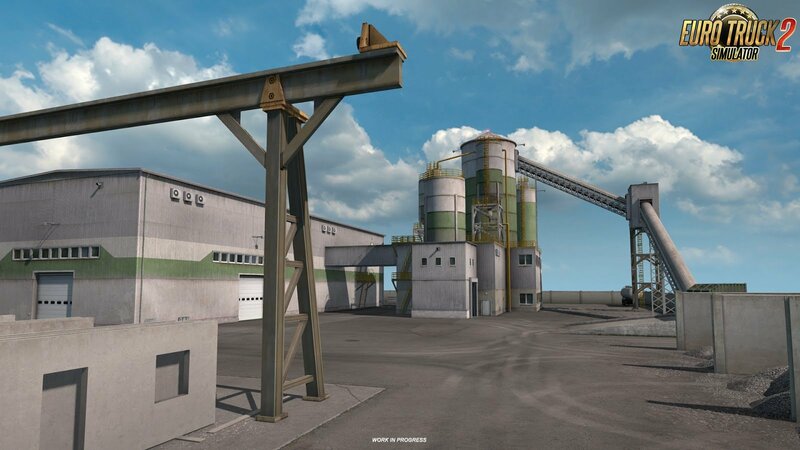 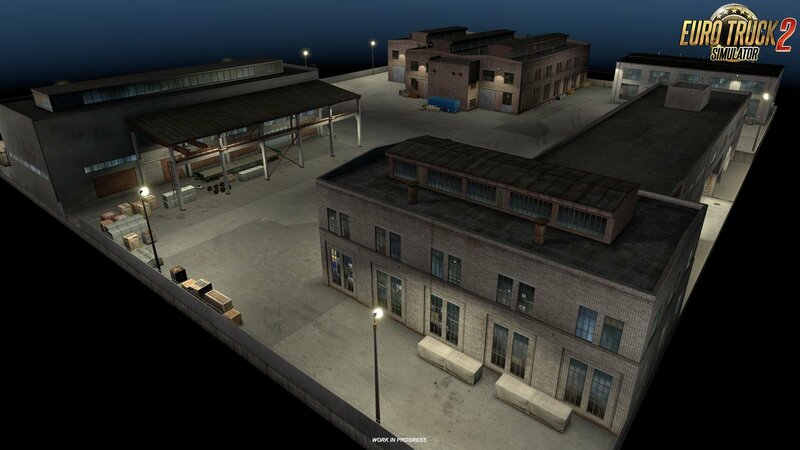 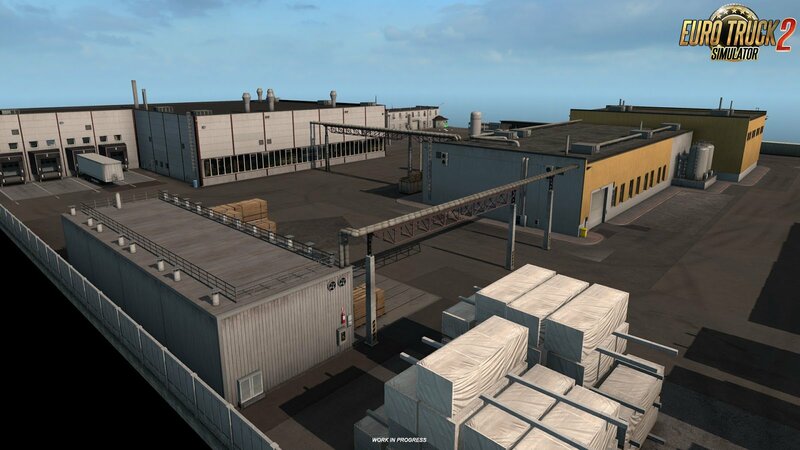 Beyond the Baltic Sea map expansion for Euro Truck Simulator 2.
will encounter while on deliveries; these are just some of the custom "prefabs" that our 3D model team is creating. 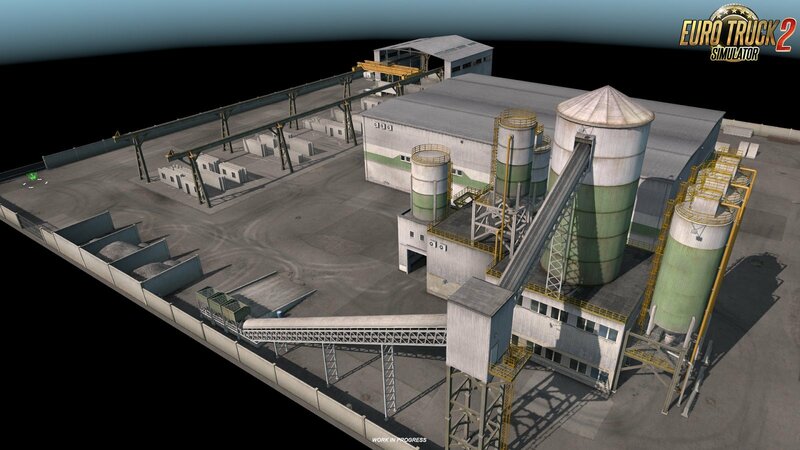 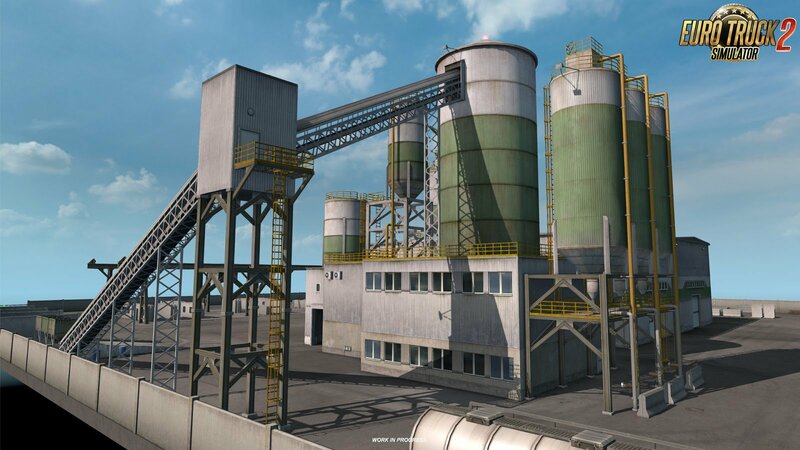 concrete batching plant, or a paper mill along with a furniture factory. 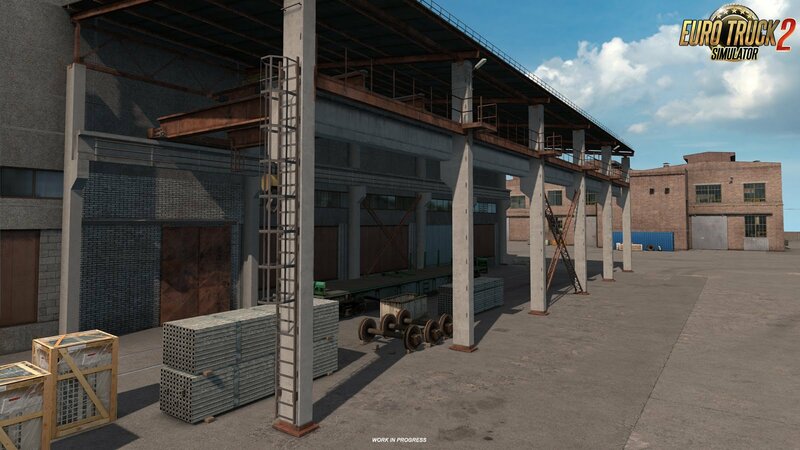 Advanced engineering industry is represented by the locomotive service/producing factory prefab.